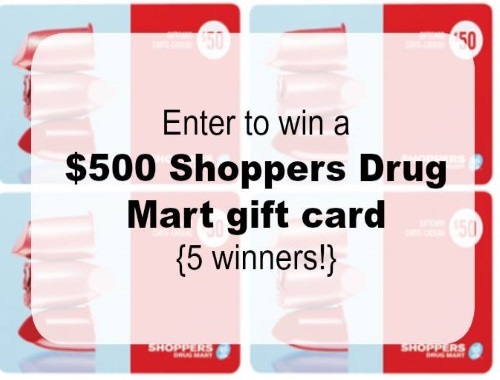 How would you like to win a $500 Shoppers Drug Mart gift card? My Organized Chaos blog has teamed up with Shoppers Drug Mart to give away one to 5 winners in their "Love Your Pharmacist Contest". To enter, click on the link below and complete the survey near the end of the blog post asking basic questions on your past pharmacy experience at Shoppers Drug Mart, or Real Canadian Superstore. Contest closes March 31, 2017. Quebec is excluded. Limit 1 entry per person.